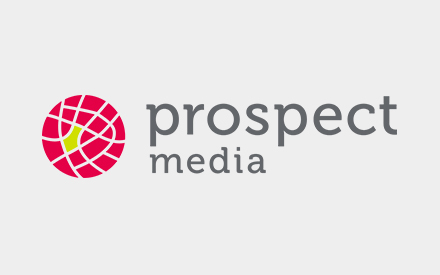 Prospect Media and Stratafly were seeking to unify under a single company banner to simplify and strengthen their presence in shared markets. 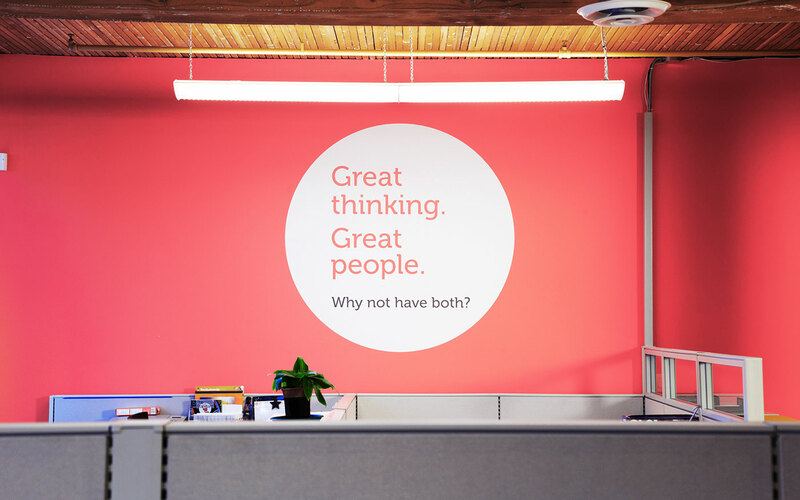 Fostering a long-term objective of growth and expansion, SOS rebranded and launched this unification, complete with a new identity. 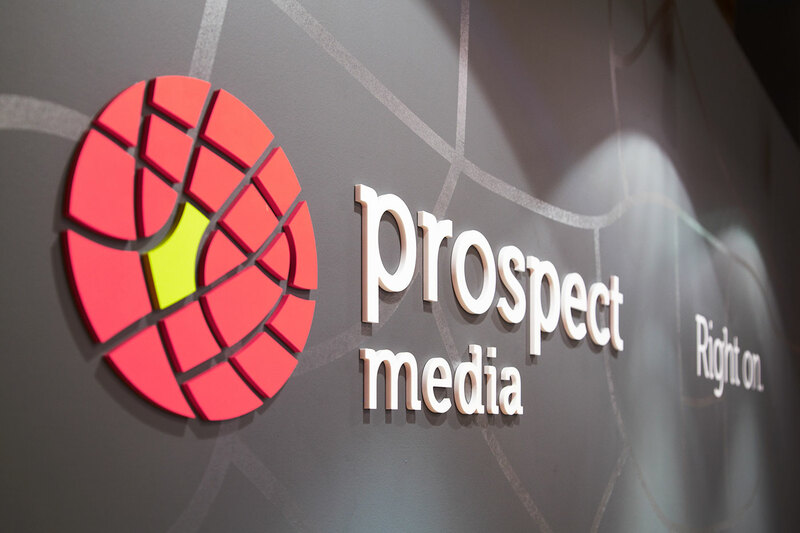 Through conversations with the senior client team and a deep dive into the competitive landscape, we set off to identify Prospect’s differentiating point. 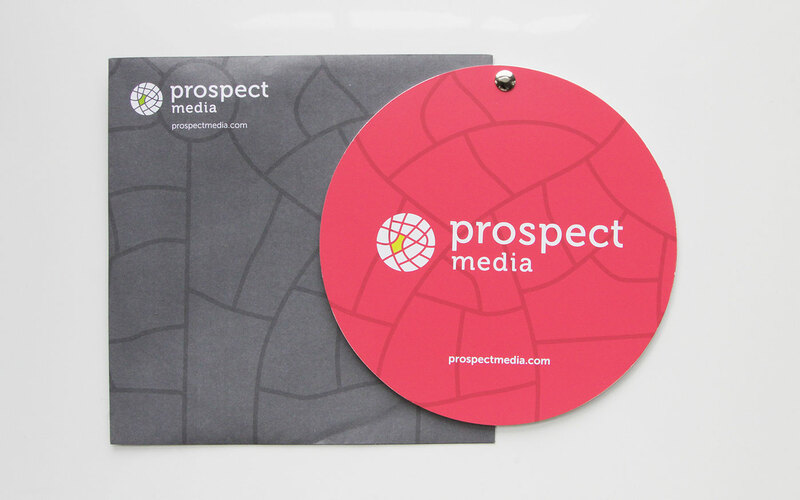 It was revealed that a large portion of the industry often spoke in technical terms or expressed their offerings through a hard sales approach – this became the doorway through which Prospect could communicate something different. 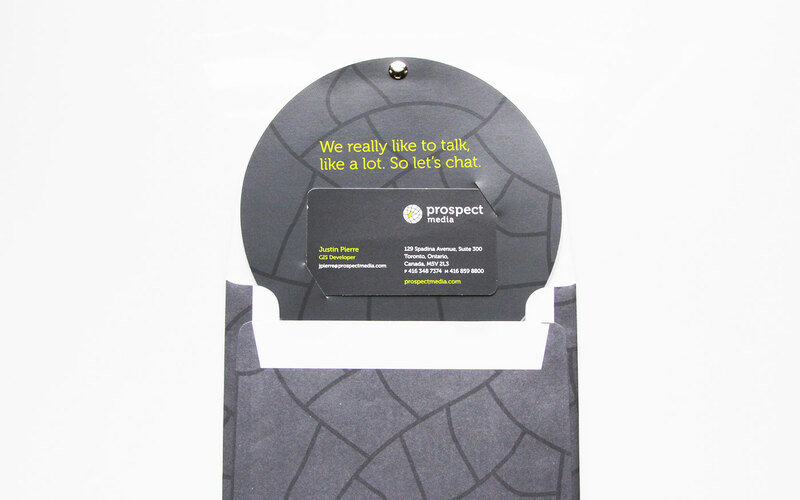 Our proposal that Prospect express their business through a conversational light voice became their unique attribute, making them approachable and relatable. 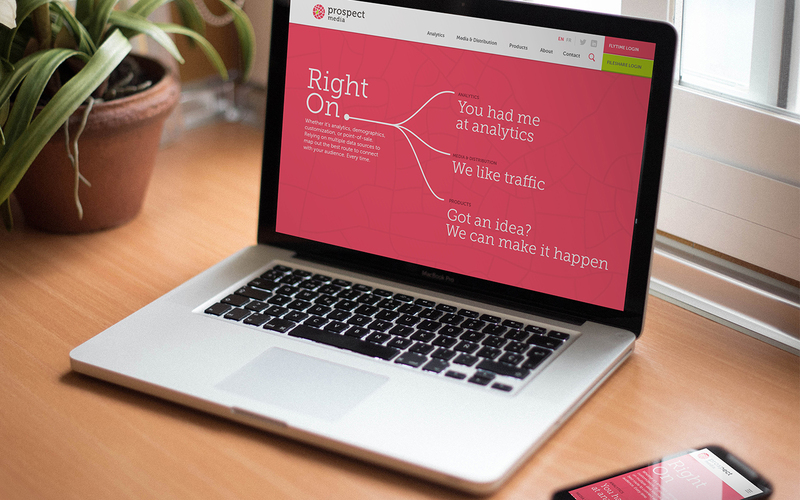 Messaging such as Right On, You had me at Analytics, and We like traffic, supported their core services and demonstrated a playful yet collaborative organization. 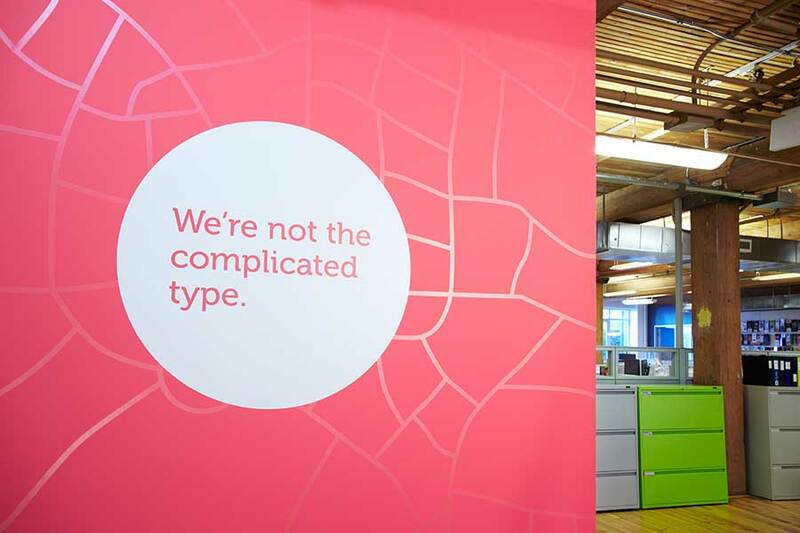 Mapping, roadways, and directional shapes became inspirational elements for the new identity. 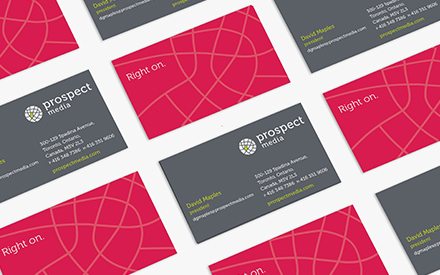 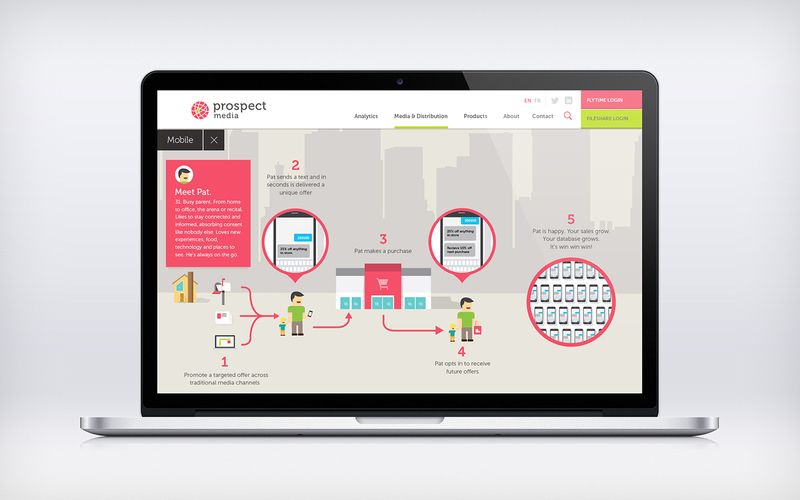 Coupled with strong typography and vibrant colours, Prospect’s visual brand clearly stands out. 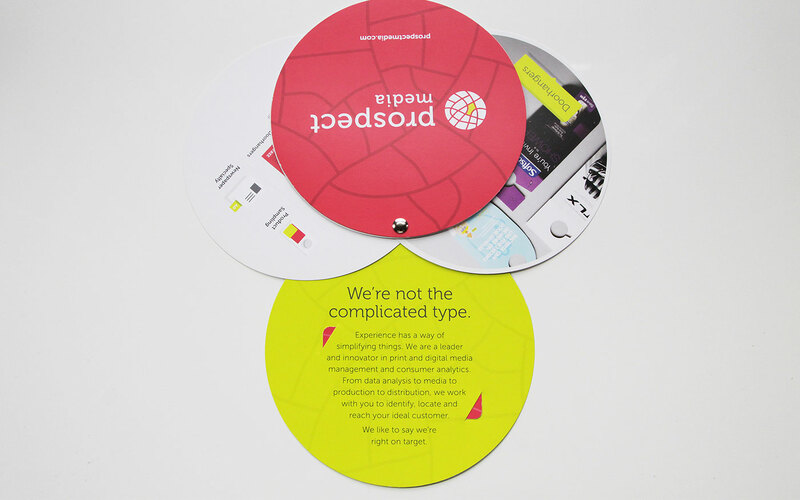 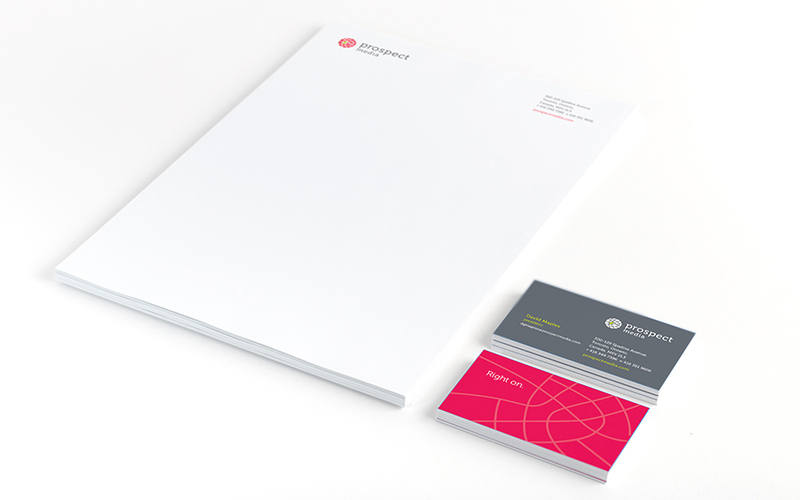 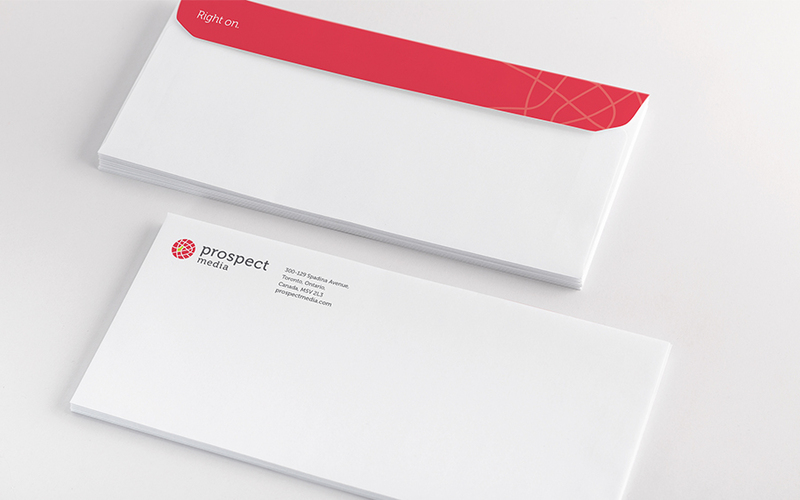 In addition to a new logo, a complete identity system was designed which included circular shaped sales brochures and custom envelopes – all meant to further Prospect’s brand presence. 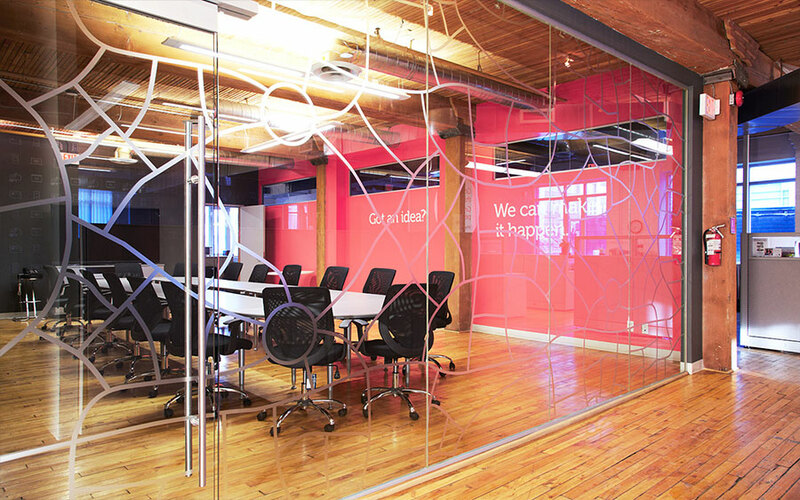 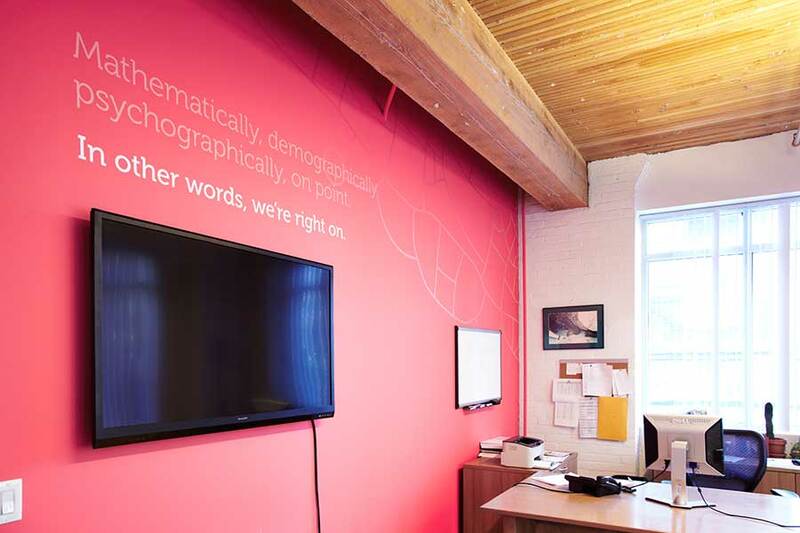 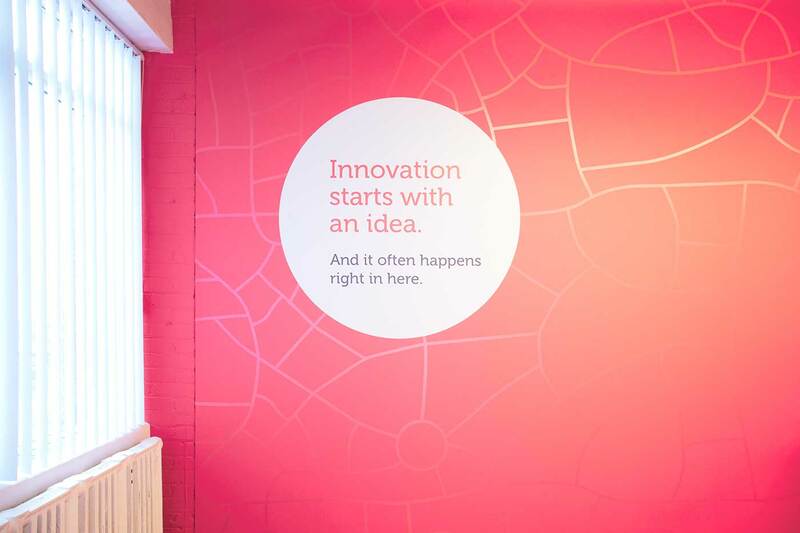 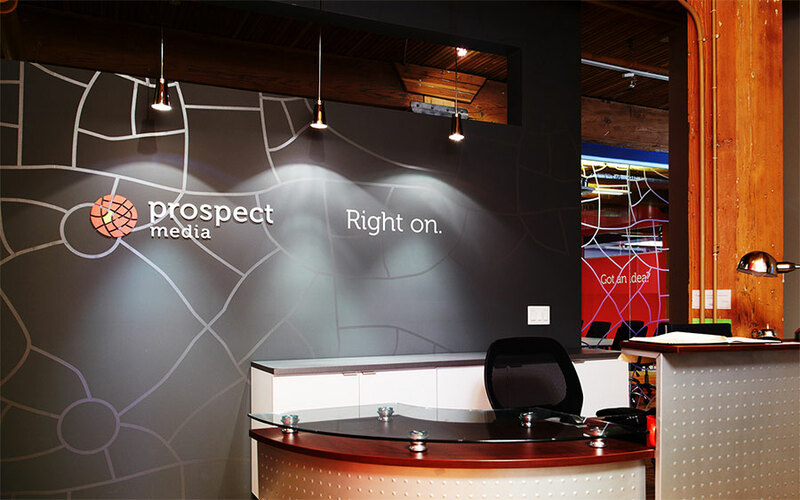 A testimony to Prospect Media’s commitment to a bold look and feel, environmental design was applied across the entire office to bring life and energy to the space. 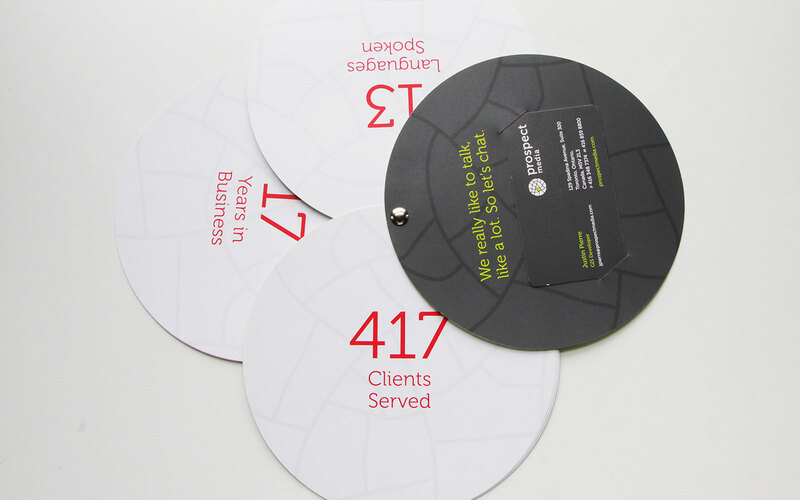 Applications included paint, dimensional acrylic, vinyl graphics and even custom-coloured filing cabinets. 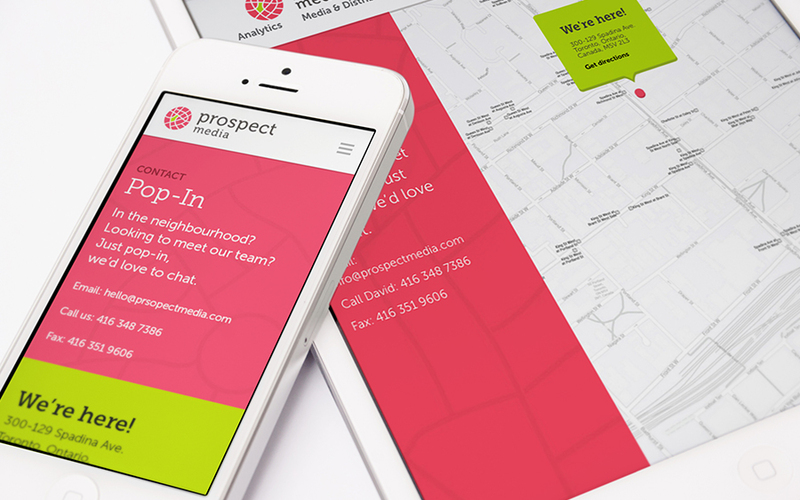 The website brought to life the conversational language and vibrant design of the new brand. 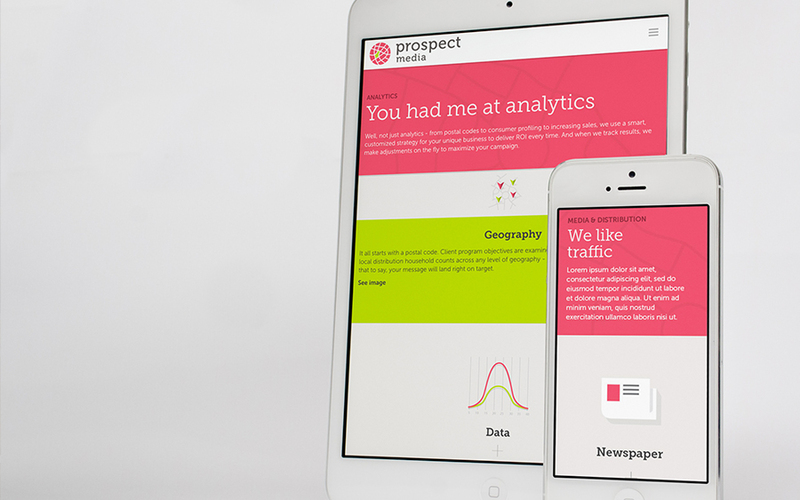 An easy-to-navigate site with bold fields of colour, simple icons and content rollovers ensured a user experience reflective of the new Prospect – relatable, friendly, and on-point.